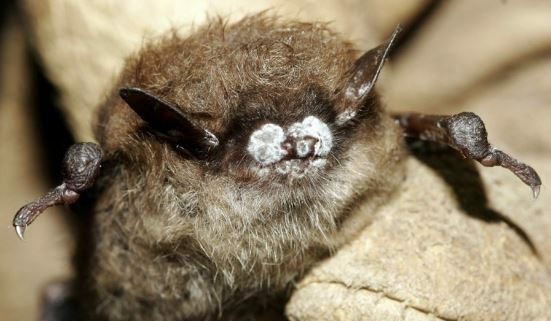 White-nose Syndrome (WNS), the highly contagious fungal disease that has killed millions of bats in North America, was confirmed in Washington state yesterday by wildlife officials. The discovery of the infected little brown bat (Myotis lucifugus)— found by hikers on a trail about 30 miles east of Seattle — marks the first time the disease has been documented in the western United States. Finding the disease almost 1,300 miles from the previous westernmost detection of the fungus in Nebraska is devastating news. 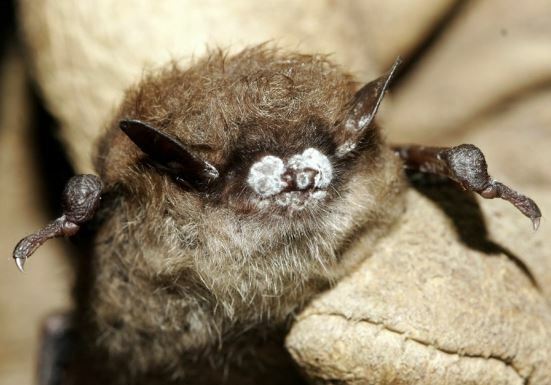 White-nose Syndrome has overwhelmed hibernating bats in the east, with the three most affected species, including the little brown bat, experiencing losses exceeding 98 percent in some states. The discovery of the disease in the west is a dire wake up call for all regions in North America, as biologists expect the disease to spread from this new epicenter. A source cave for affected bats in Washington State, however, has not been found and may not be; bats in the west are dispersed in low numbers across the vast, mountainous landscape, many occupying crevices in rocks, and other hard to reach places. The finding suggests the fungus has been present in the state for at least a couple of years. Potential treatments are being developed that can fight the disease at its source – tools that can control the growth of the fungus. Recent trials with bats in the lab and in the field with the fungal biocontrol Rhodococcus rhodochrous DAP give us hope for a treatment that could reduce the impacts of this devastating disease. There is currently no silver bullet for improving bat survival from WNS. It is critical that we develop several tools for our toolbox in our fight against this disease. That’s why we are also funding research on other possible treatments that we need to get out of the lab and into field tests as soon as possible. You can help us continue to advance these innovative treatments to help save bats from this epidemic by donating today. 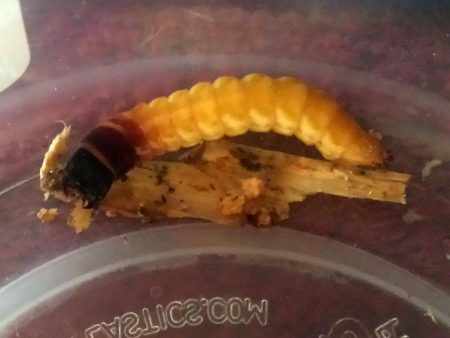 Click Beetle Chemicals not working.